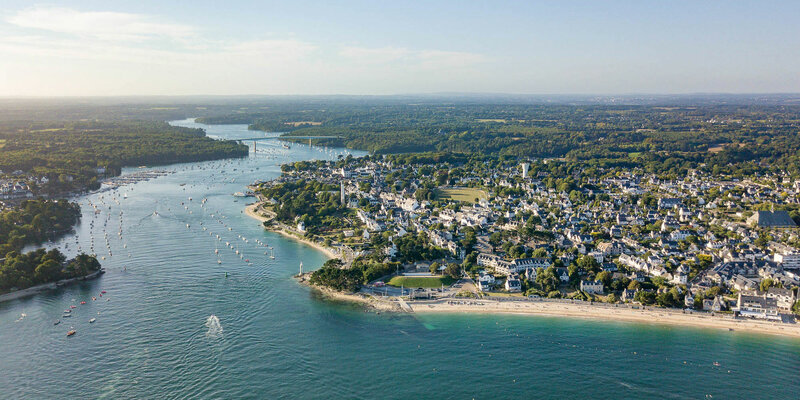 Facing the Glénan archipelago and at the mouth of the most beautiful of the French rivers, the Odet, the seaside resort of Bénodet welcomes you for an unforgettable holiday in Brittany. With its superb beaches, marina, casino, spa, golf course and many other surprises, the flagship resort of the Brittany Riviera you will certainly be charmed during your stay at the Yelloh! Village campsite, Le Port de Plaisance . The beaches of Le Coq, Letty, Saint Gilles and Trez are among the most beautiful in southern Finistère. You can bathe in clear, good quality water, as well as sunbathing on the sand or practice various water sports. The wild coast harbours many treasures to explore during a 13 kilometre walk, the "Boucle des Corniches" leads you from Anse de Penfoul, along the Odet, to the heavenly Letty lagoon. Alternating long and beautiful sandy beaches, steep cliffs and rocky coastlines, fishing and yachting harbours, the Cornouaille Coast extends from Pont-Aven to Pointe du Raz. It certainly counts as one of the most beautiful in Brittany and France. 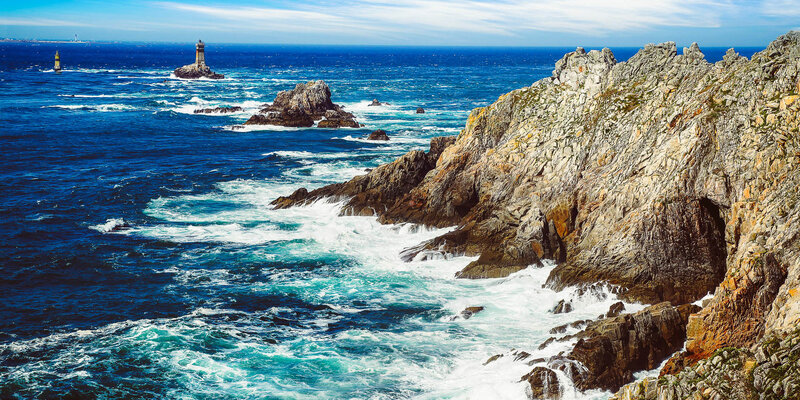 From Pointe du Raz to Lervily, north west of the Cornouaille coast, the steep, craggy coastline is beaten by the winds. Cliffs and rocks are constantly beaten by the waves. To the south, from Pointe de Lervily to Pointe de Penmarc'h, dominated by the giant lighthouse of Eckmühl, the coastline gives way to huge sandy or pebbles beaches, paradise for gliding enthusiasts. Finally, from Bénodet to Port-la-Forêt, coves, beaches and rocks form a heavenly landscape with the evocative name: the Brittany Riviera! Concarneau is one of the major tourist destinations in the Finistère area. Situated half an hour's drive from the campsite, this town is a seaside resort, a "city of art and history", a shipyard as well as a fishing and yachting port. The walled town, named after the oldest part of the city because of the ramparts that encircle it, resembles a fortified island set in the middle of one of the most beautiful bays of the region. At the top of the ramparts, from the footpath, it is possible to watch the trawlers which come and go at the mercy of the tides for inshore and offshore fishing. In August, the city of Concarneau hosts the "Fête des Filets bleus" (Blue fishing nets festival), the oldest festival in France. The festival promotes Breton culture through concerts, dance shows, costumed street parades, etc. Fall under Quimper’s spell, one of the most beautiful cities in Brittany! 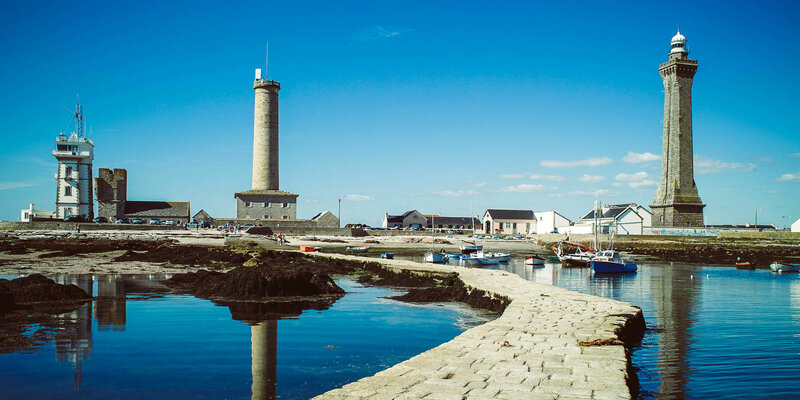 Loaded with history, the cultural capital of Finistère is located in the heart of Cornouaille and 18 kilometres north of the Yelloh! Village campsite, Le Port de Plaisance. 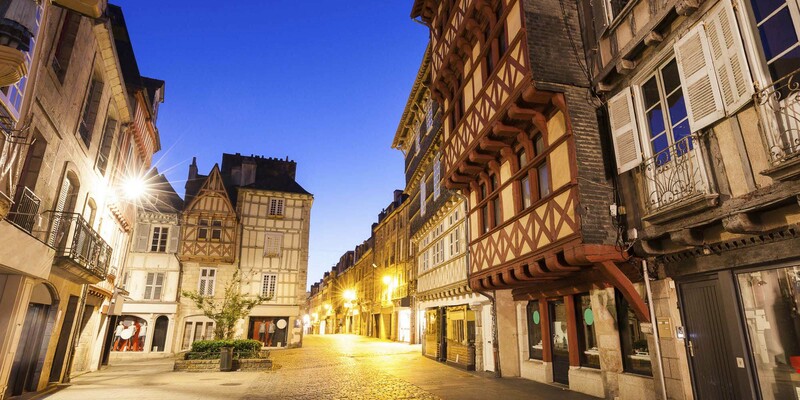 Crossed by four rivers, the Odet and its three main tributaries, Steïr, Frout and Jet, Quimper is a city of just over 60,000 inhabitants classified as a city of art and history. 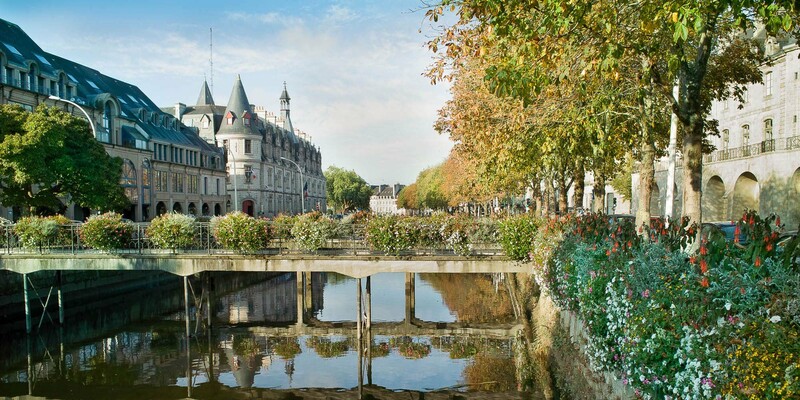 With its three ancient centres, the district of Locmaria, The Bishop’s town, and The Town of the Dukes of Brittany, Quimper is a city that can be visited on foot, strolling along its lively, medieval commercial streets. There are also numerous factory shops, such as those of Faïenceries Henriot-Quimper and Armor Lux. Also note that Quimper has three permanent museums: the Fine Art Museum, the Museum of Brittany and the Ceramics Museum. Who hasn’t heard of Pont Aven? The most famous "City of Painters" in Brittany is 35 minutes drive from Bénodet. 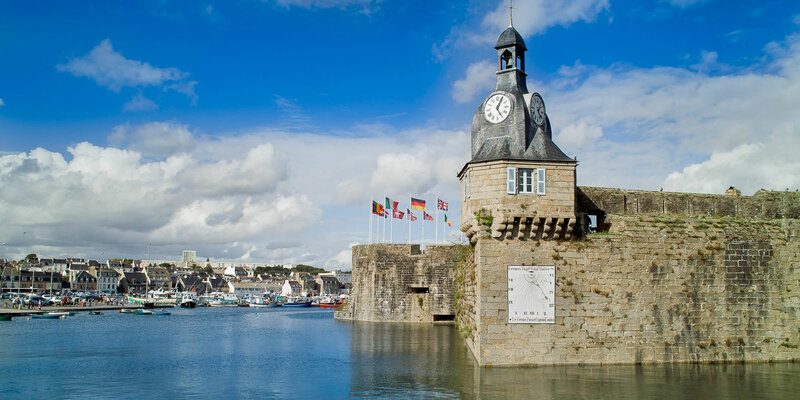 On the banks of the river Aven, which here forms a ria and where the last bridge crosses this coastal river before the sea, Pont Aven has long been known as the "City of watermills". No less than fifteen watermills are still in operation today. The delightful spectacle of wooden wheels turning to the rhythm of the river, as well as that of the washerwomen on its banks and islets, helped attract many artists during the 19th century. Among the artists was the painter Gauguin who was at the origin of the Pont Aven school, a group posthumously named as such, who came together under the same umbrella, artists who regularly came to paint in Pont Aven. 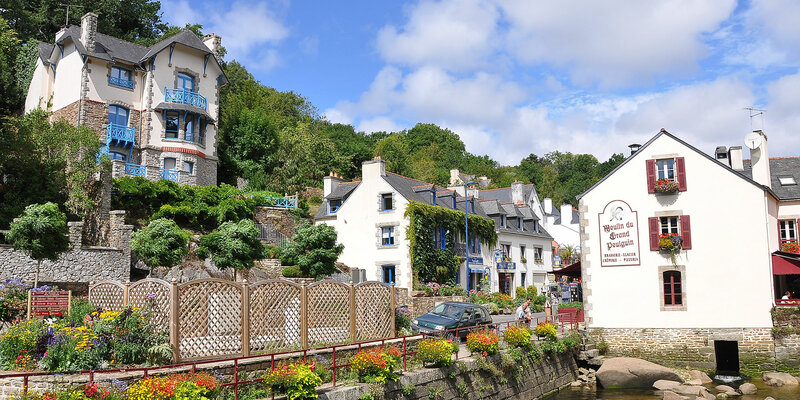 Today, the small town of Pont Aven is home to numerous art galleries that continue to perpetuate the bohemian spirit of the "City of Painters". Transparent water, white sandy beaches, paradise on earth has a name, it is called the Glénan Archipelago. Situated about ten nautical miles from the continent, off the seaside resorts of Bénodet and Fouesnant, this Breton archipelago is one to be explored during your stay at Le Port de Plaisance campsite. To get there and explore the seven islands that make up this archipelago, the transparent waters of its inland sea, its white sandy beaches, etc. nothing could be simpler! 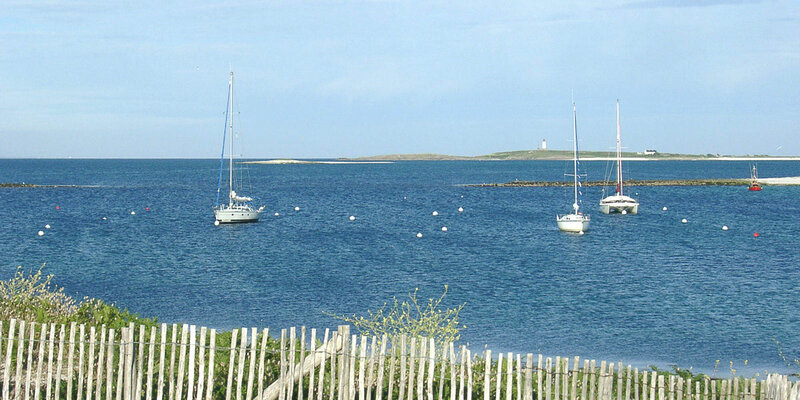 From April to September, shuttles serve Saint Nicolas, the main island of the Glénan Archipelago, departing from Bénodet, and also from the ports of Concarneau, Loctudy, Port la Forêt and Beg Meil. Note that in season, the Archipelago, uninhabited the rest of the year, comes alive and its diving and sailing club opens. This club enjoys a worldwide reputation, take advantage of it for an introduction to the sport!